We provide many activities for you and your group to enjoy. From low-ropes courses to hunting, you can participate individually with another group, or schedule a group of your own. Some activities are seasonal while others are offered year-round subject to the weather. We also offer many free activities for our guests, including sand volleyball, frisby golf, shuffleboard, basketball, ping-pong, billiards, and a picnic pavilion with campfire area. Contact us today to schedule an activity for you and your group. 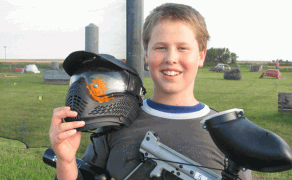 Paintball is a great activity for people of all ages (ten and up). We supply the paintball field and all of the equipment; all you have to provide is players. 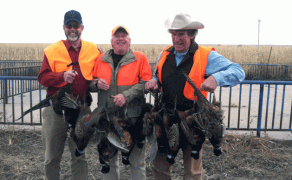 Fall is the time for pheasant hunting. Schedule your group for a private hunting experience or join others already scheduled. 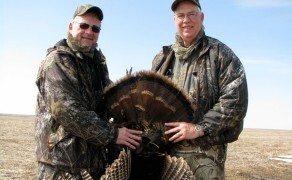 Join us for turkey hunting in the spring. Schedule your group for a private hunting experience or join others already scheduled. 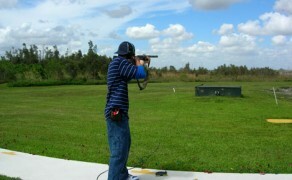 Plan an afternoon of trap shooting as part of your next event. This fun activity is a great fit for folks of all ages and provides an active break from your day.